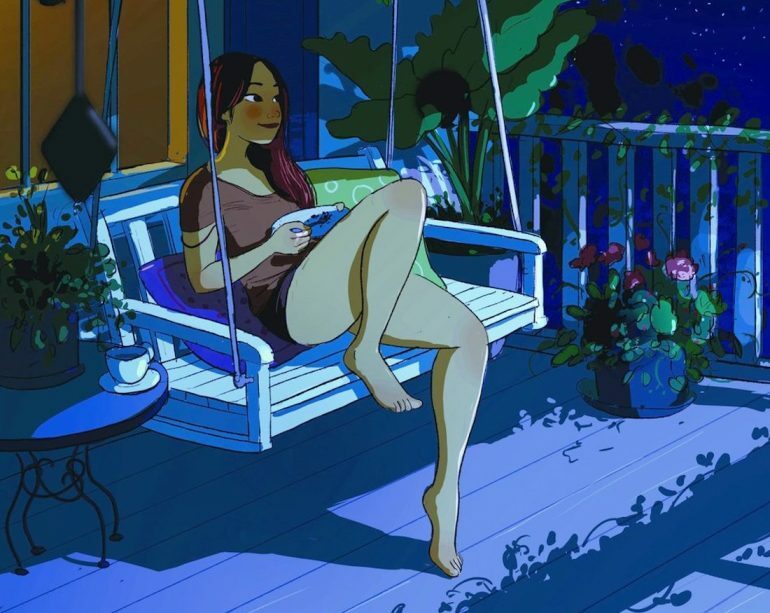 If you’ve ever had the opportunity to live alone, you know just how glorious it can be — especially if you’re an introvert who thrives in solitude. 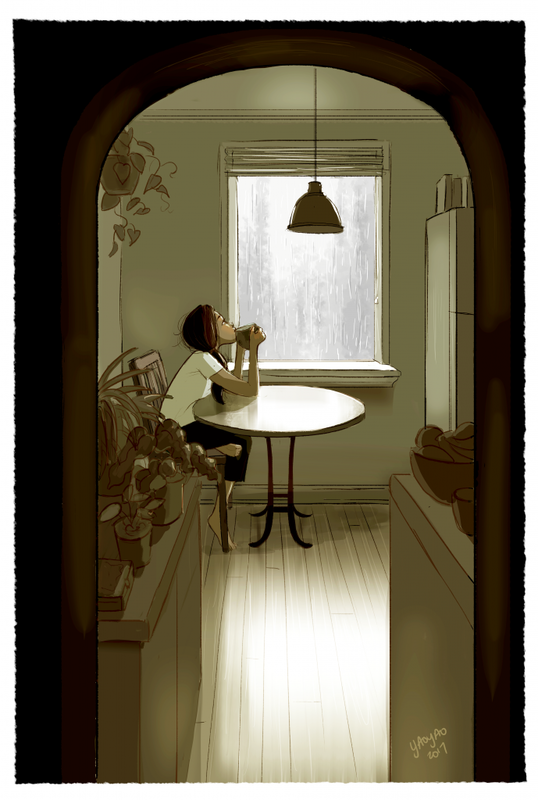 Yaoyao Ma Van As, a painter and illustrator in Los Angeles, lived alone for eight years before getting married. 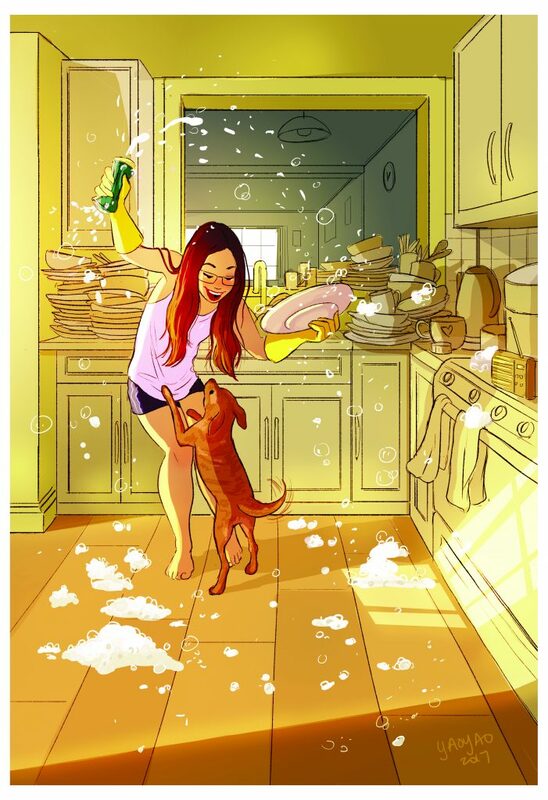 She created a gorgeous series of drawings about the magic of being on her own. 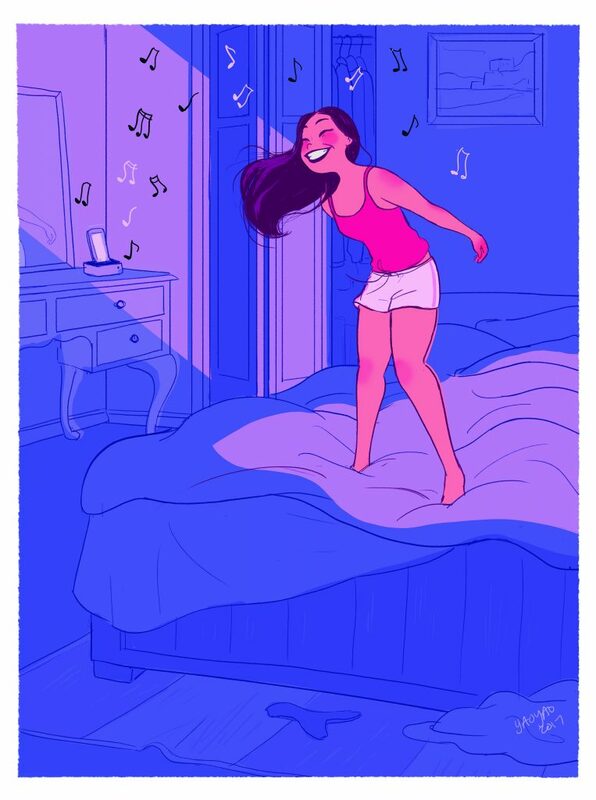 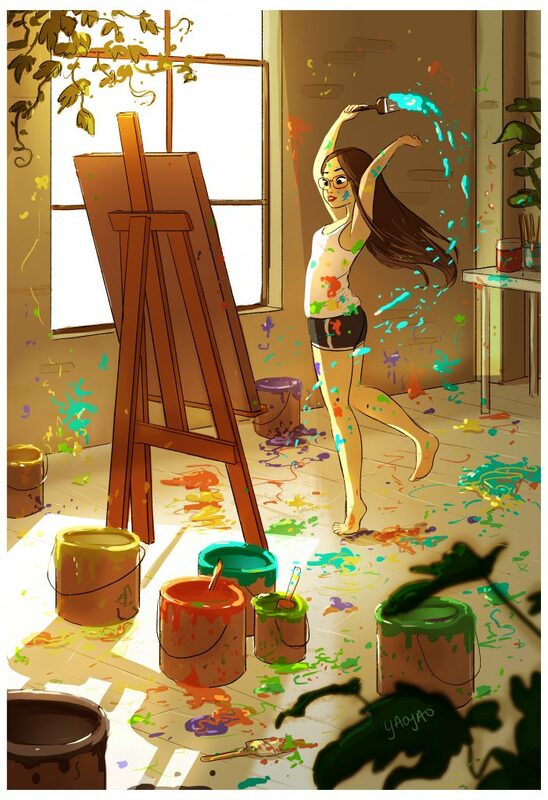 Yaoyao, who describes herself as introverted and shy, draws inspiration for her artwork from her own experiences — and especially from times of solitude, such as when she’s exercising or listening to music. 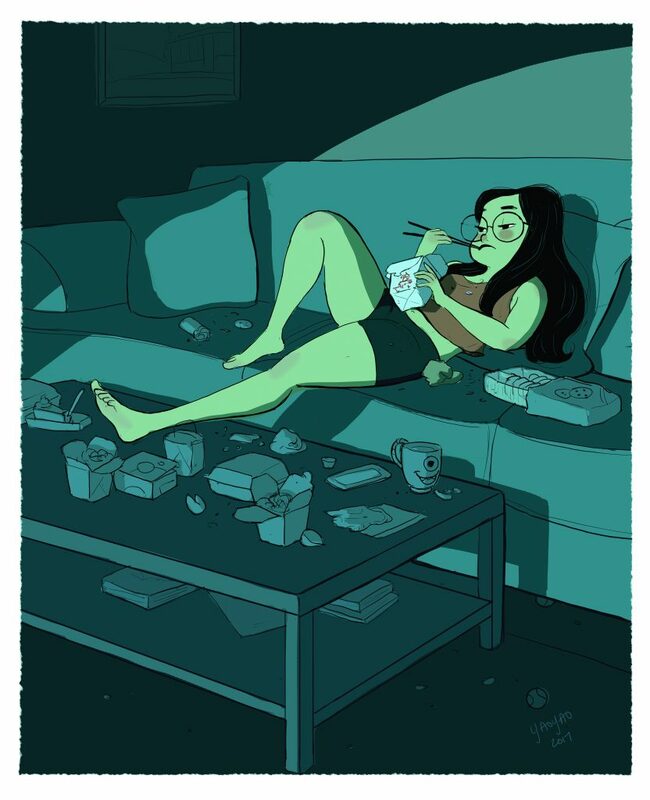 The 34-year-old has done background art for shows like “Rick and Morty” and “BoJack Horseman.” Unfortunately, working in the industry left little time to draw for herself. 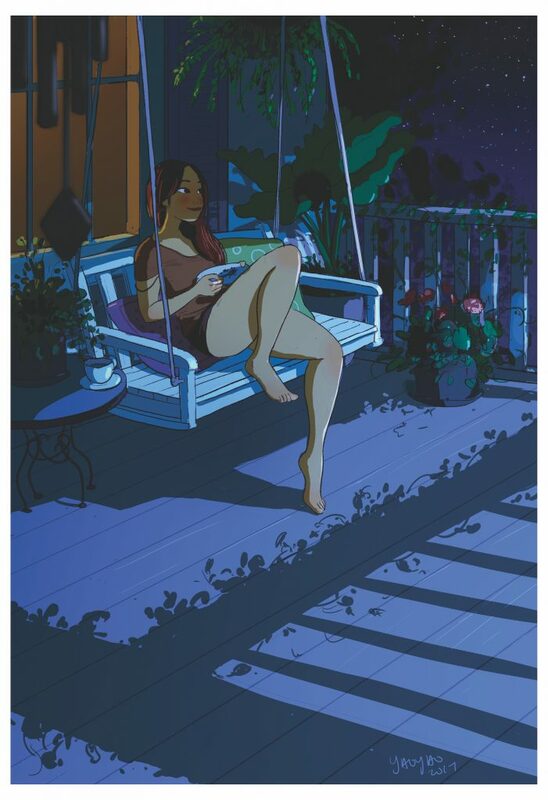 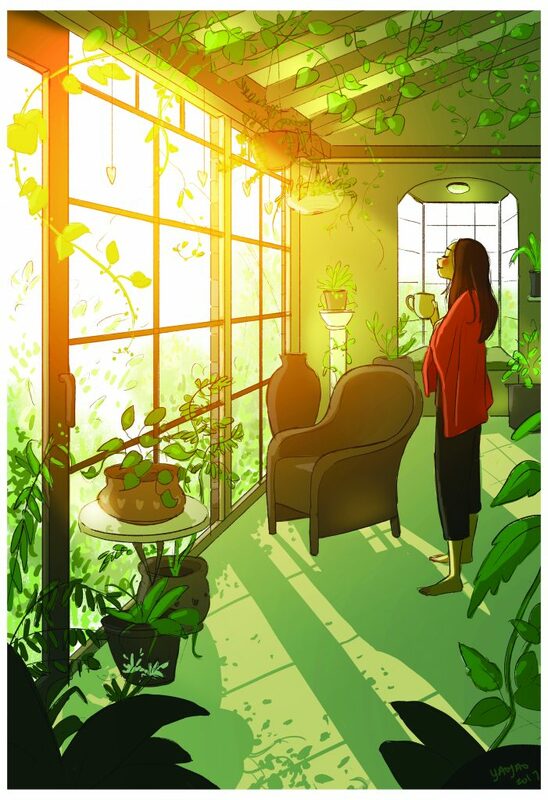 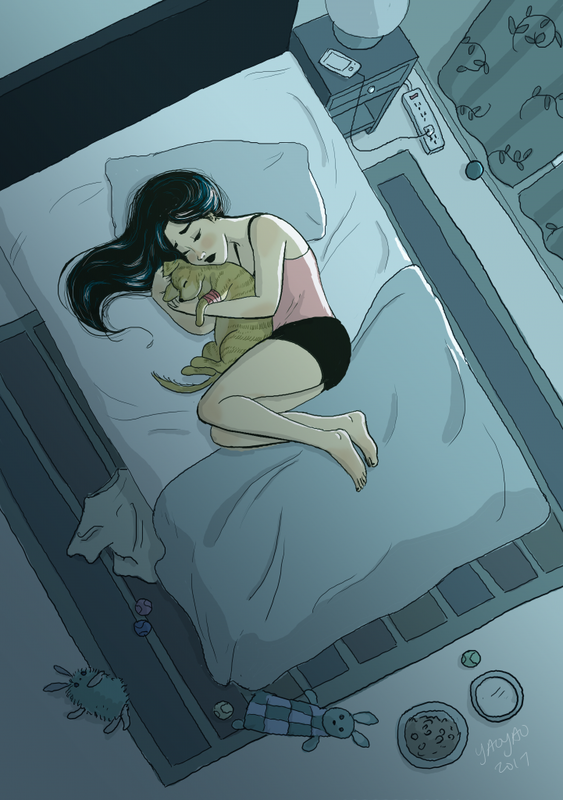 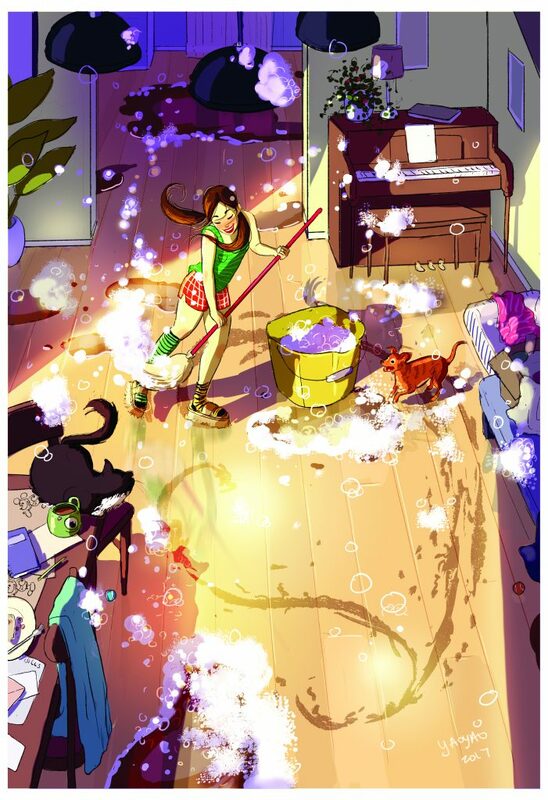 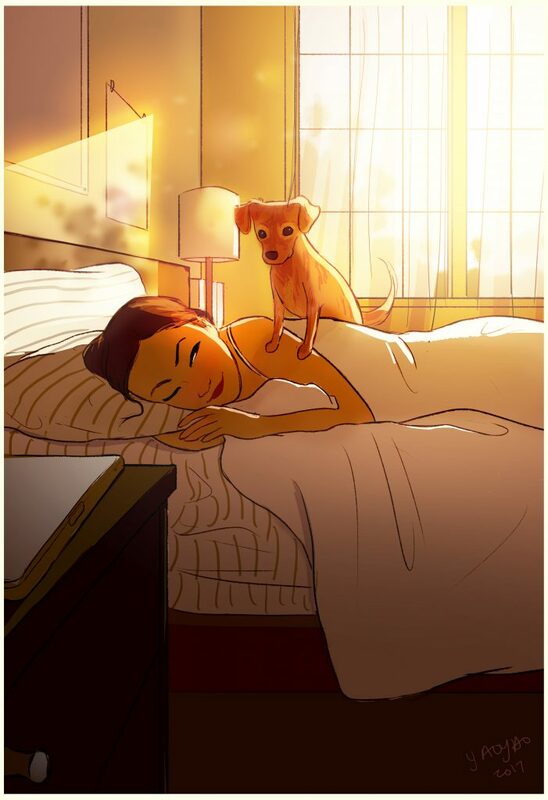 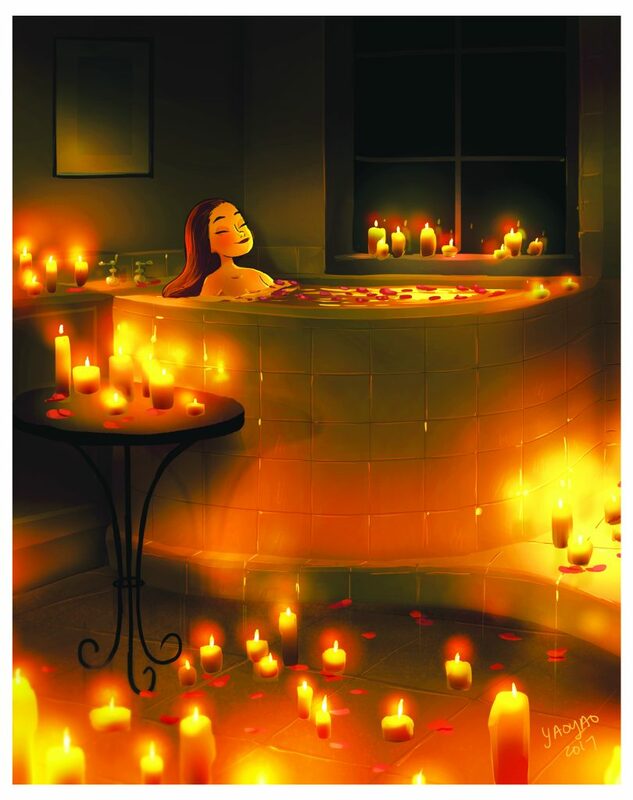 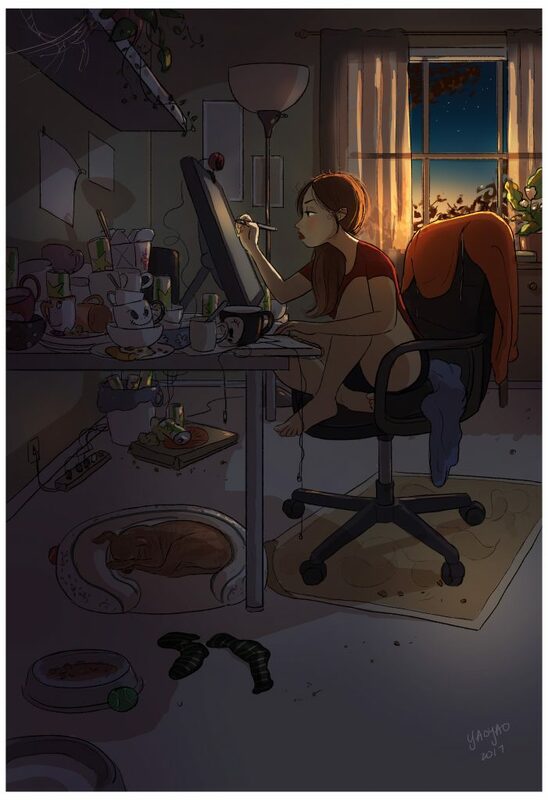 That’s why Yaoyao created a series about living alone — like her independent life, this artwork was all hers. 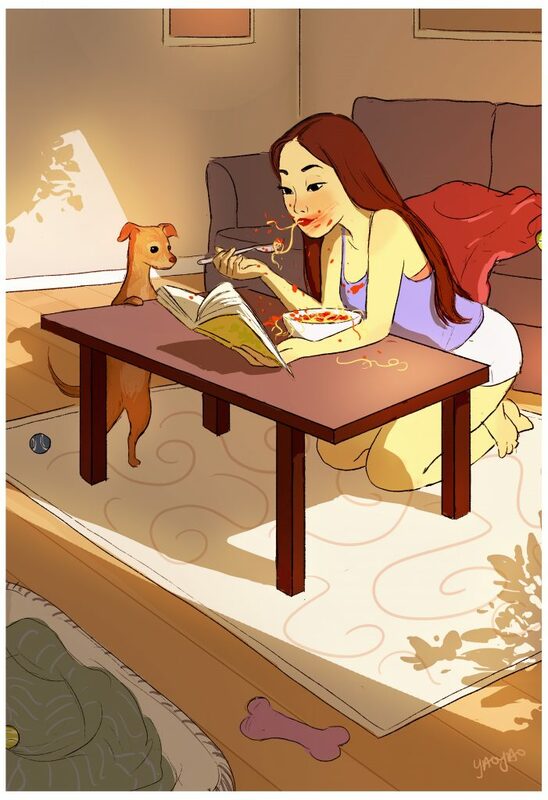 “Whether living alone or living together, I just want people to be comfortable being with themselves,” she told Introvert, Dear. 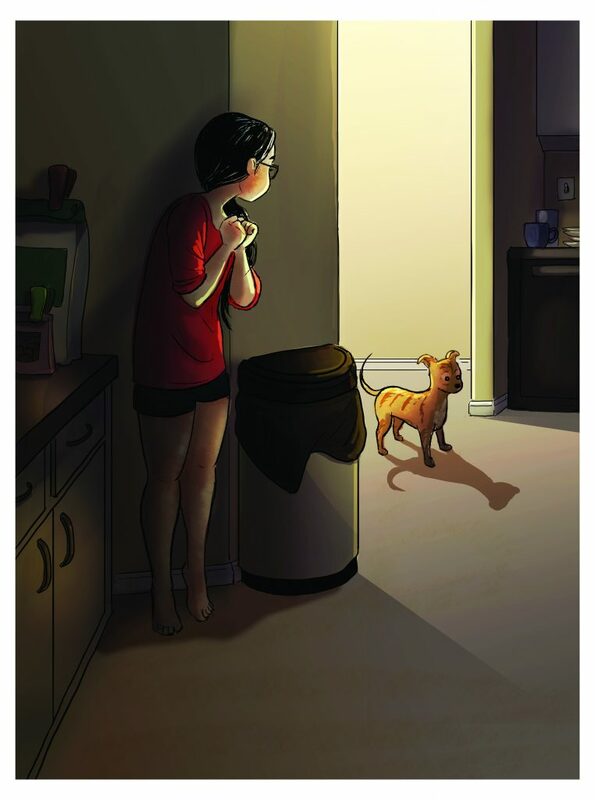 Her drawings often include her nonhuman “roommate” — her beloved dog Parker. 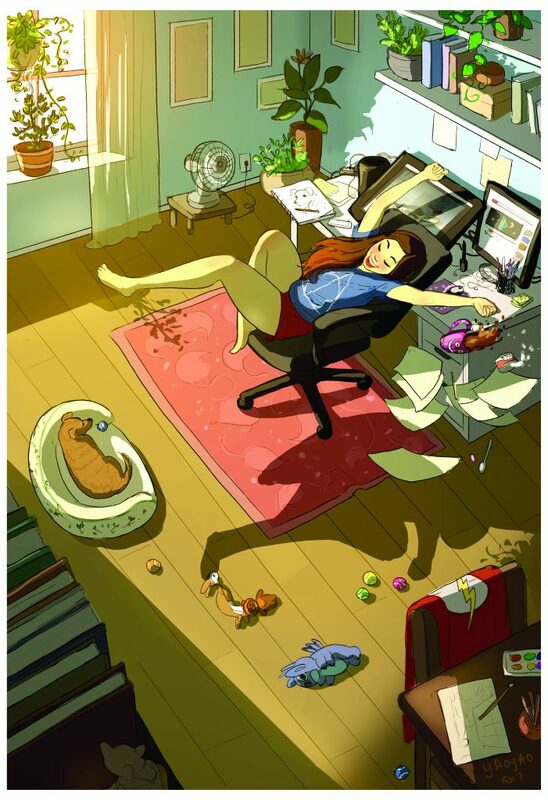 Because of her introversion, Yaoyao admits that she can be “pretty socially awkward” in certain situations. 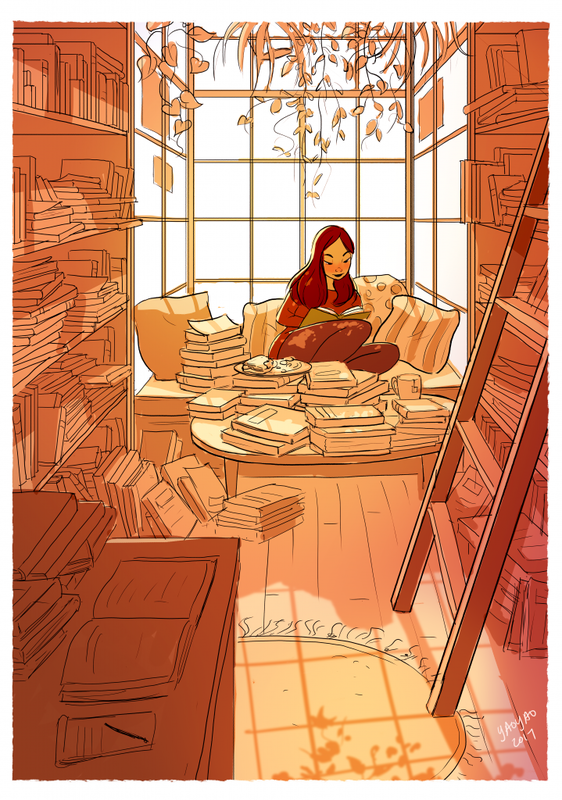 “That said, I also like to speak my mind when it’s necessary,” she told Introvert, Dear. 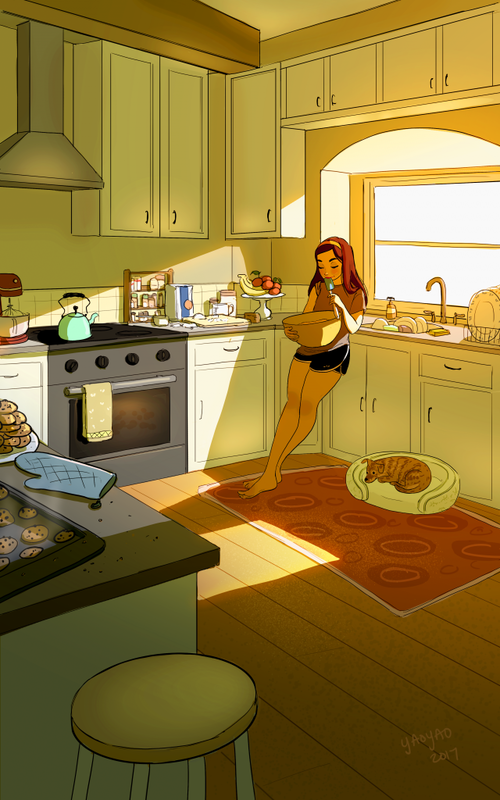 Her drawings focus on her favorite aspects of living alone. 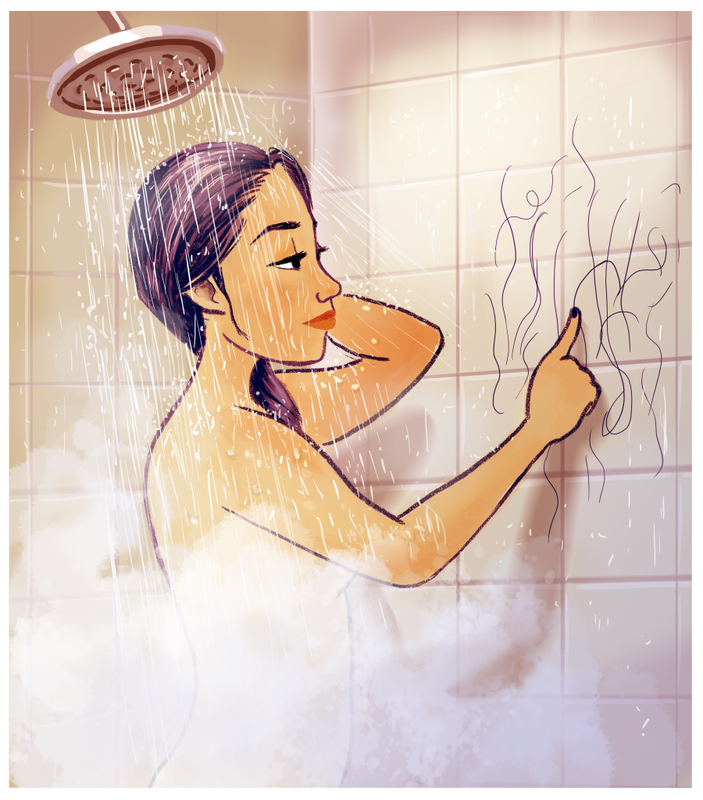 She would often draw, take a bath, or just get lost in the moment of enjoying her own company. 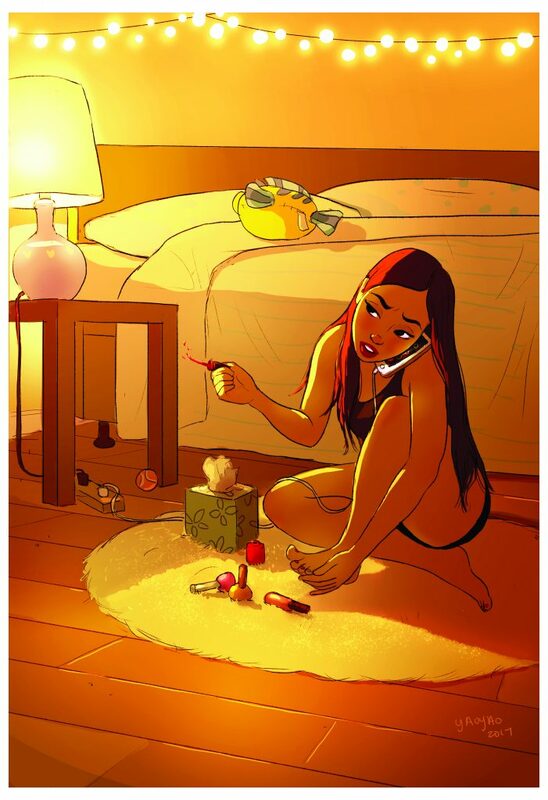 Also, being on your own doesn’t have to be scary. 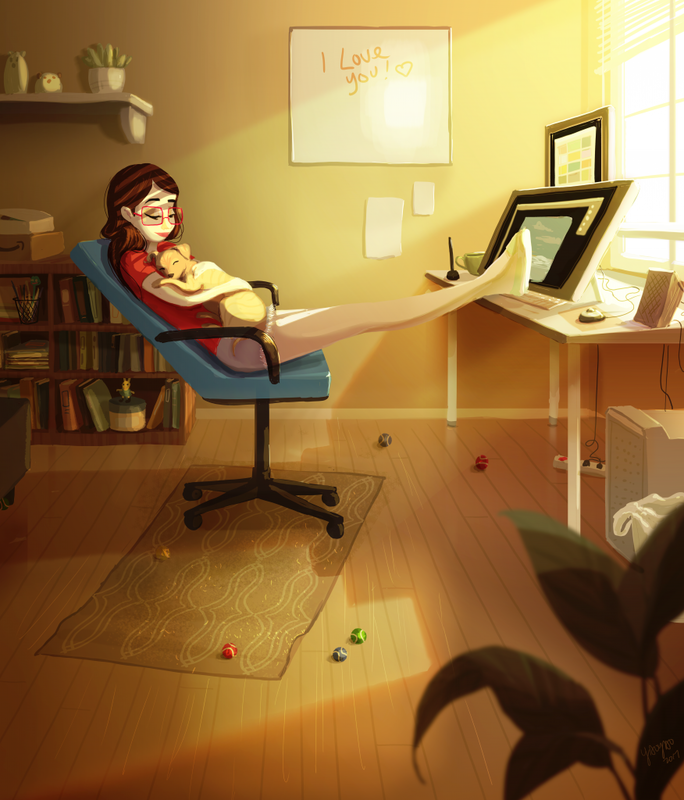 In fact, it can be just what an introvert needs. 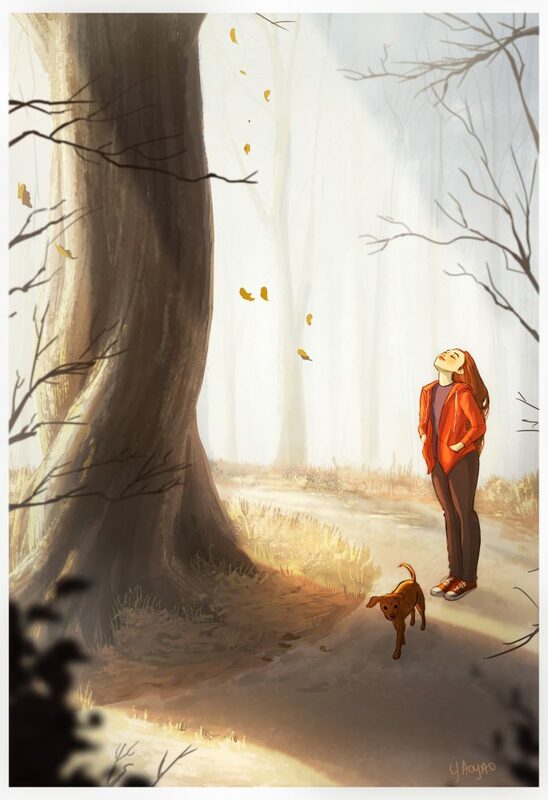 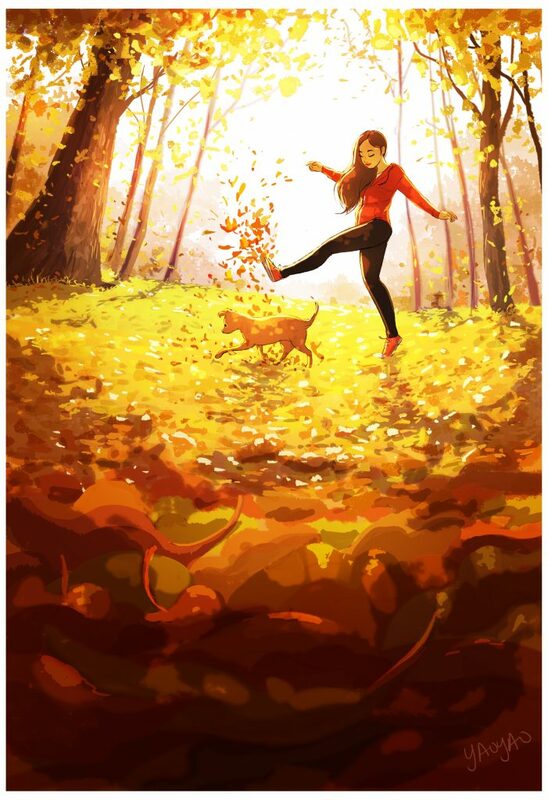 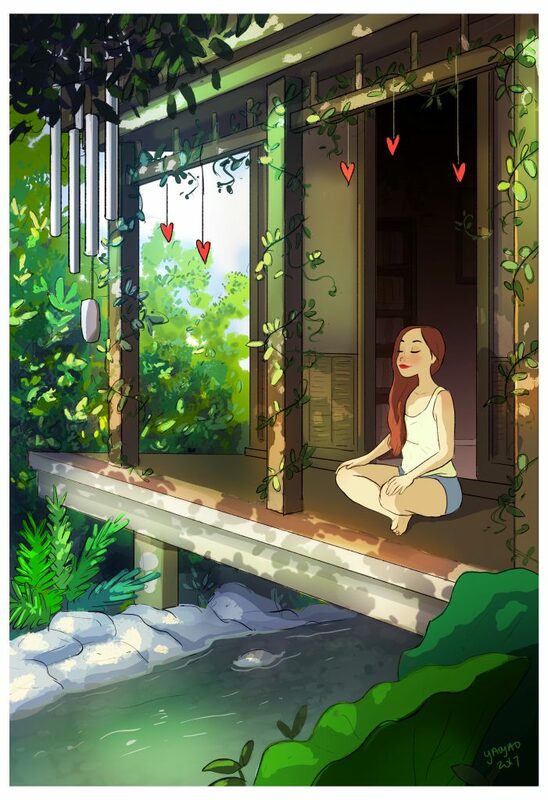 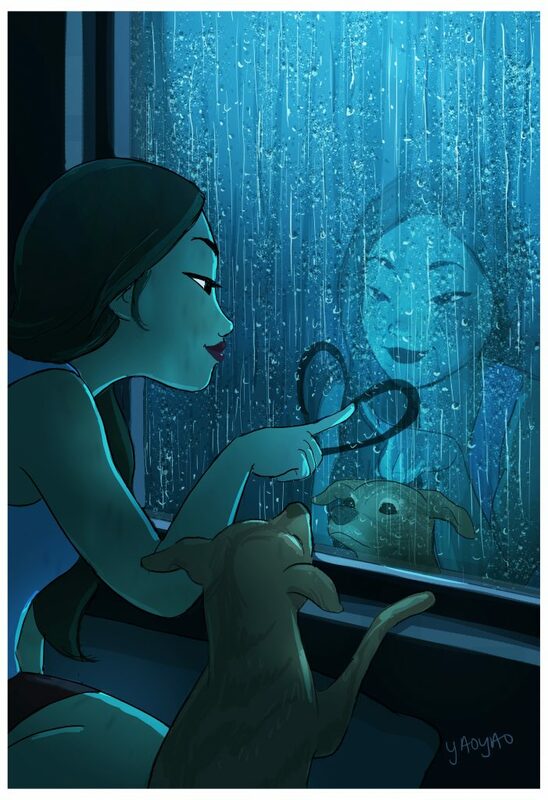 You can see more of Yaoyao’s illustrations or purchase prints of them on her website. 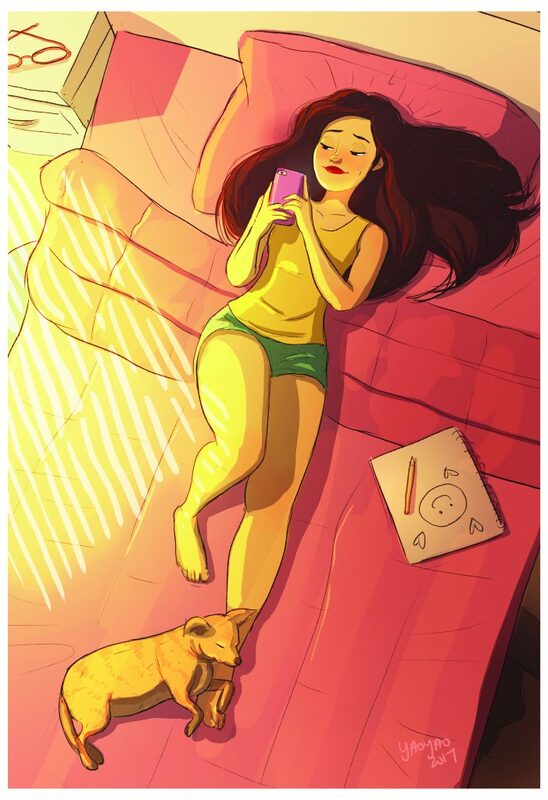 Or, follow her on Instagram, Facebook, and Tumblr.